Not very long ago, leaders of Andhra Pradesh and Telangana fought as if the two states were India and Pakistan. Telangana was carved out of Andhra Pradesh and made a separate state in 2014, and the memories of violence in Andhra Pradesh that opposed the bifurcation and in Telangana that demanded it are still fresh. So, the irony and drama of an Andhra Pradesh leader shouting ‘Jai Telangana’ — from the soil of Telangana — can’t be missed. And when that leader happens to be none other than Andhra Pradesh chief minister and Telugu Desam Party (TDP) leader Chandrababu Naidu, it warms the hearts of some and raises the hackles of others. That’s precisely what is going on now as Naidu often concludes his election speeches in Telangana for the 7 December Assembly election with a “Jai Hind” followed by “Jai Telangana”. The one man who is rankled most by this is Telangana chief minister K Chandrashekar Rao, known as KCR, who heads Telangana Rashtra Samithi (TRS). He is petrified that Naidu may steal the votes of people who support Andhra Pradesh as well as those supporting Telangana. KCR is wary of the talk of Naidu swearing by Telangana’s development leading to a victory for Mahakutami — grand alliance — comprising TDP, Congress, Telangana Jana Samithi (TJS) and CPI. KCR: Telugu Desam is an Andhra Pradesh party. Naidu is Telangana’s enemy. He is needlessly poking his nose into Telangana’s politics. He has written countess letters to the Narendra Modi government to stop development projects for Telangana. Naidu’s hypocrisy is also evident from the fact that he has teamed up with Congress, his arch enemy till now and a party that has done little for the region’s development while it ruled for long periods earlier. Naidu: I never played spoilsport for Telangana’s progress. I spent sleepless nights to put Hyderabad on the world map of IT and created lakhs of jobs. KCR rejected my suggestion that Andhra Pradesh and Telangana should work together for the development of the two Telugu states. He did nothing for Telangana during his rule. TDP is not an Andhra party. It’s a party of Telugus wherever they are. Congress: It was Congress-led UPA government which turned into reality the long-pending demand for Telangana’s creation. But the KCR government failed the state by not implementing the tall promises he made. Mahakutami is the answer to all the state’s development needs. In his rustic sarcasm that enthralls audiences, KCR has been repeatedly mocking Naidu for “claiming” to have “built” Hyderabad. Then what did Muhammad Quli Qutb Shah (the sultan who founded the city 400 years ago) do? The TRS leader asks. Naidu’s reply to this is that he hadn’t built Hyderabad but it was “Cyberabad”, which had been his “manasa putrika” (brainchild). Nobody can deny Naidu the credit for conceiving and developing Cyberabad, a large area to the west of Hyderabad that is the home for IT companies. During his first two terms as the chief minister of undivided Andhra Pradesh between 1995 and 2004, the tech-savvy Naidu had done everything he could to attract IT giants to set up shop in Hyderabad. 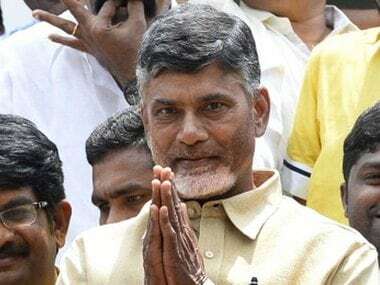 Naidu became a hot favourite of Microsoft czar Bill Gates, earned himself the honour of “south Asian of the year” in 1999 from TIME magazine and the admiration of Wall Street Journal which called him a “model for fellow leaders” and countless other accolades including “cyber Naidu”. The IT boom that Naidu indeed triggered brought lakhs of jobs to Hyderabad, but he forgot that the state had villages which needed other things and that elections were fought on different calculations. 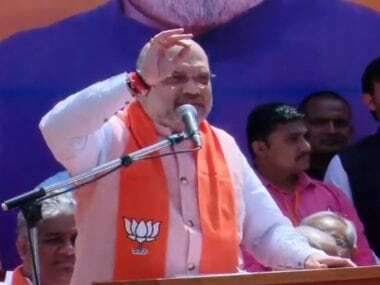 So, he lost the 2004 election in the undivided state, but the good things he did back then, especially to Hyderabad, are not forgotten even now, despite the bad blood that flowed during the state’s division. Yet all this may not automatically guarantee votes for Naidu, whose TDP is contesting 13 of the 119 seats, with 94 being fought by Congress and the rest by the other alliance partners. 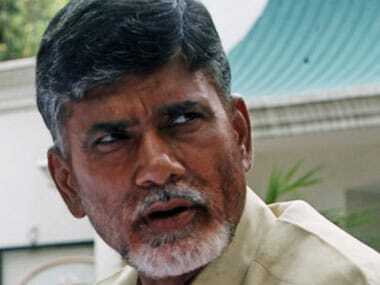 Naidu can, however, pin hopes with reasonable confidence, on the voters of Andhra origin in Telangana. Nobody knows precisely how many of them are there, but estimates by the government and Andhra organisations indicate that settlers may account for some 60 lakh of the state’s 3.5 crore population, half of them being in Hyderabad and the rest scattered elsewhere. They form a substantial chunk of the electorate perhaps in 30 to 40 seats, out of which 24 are in the area covered by the Greater Hyderabad Municipal Corporation (GMHC) alone. It was largely with the backing of settlers that, in the 2014 Telangana Assembly election held when anti-Andhra hostilities were at a peak, TDP won 15 seats, nine of them from the GMHC region. TRS won 63 Assembly seats in 2014 and formed the government but it won only three from GMHC region. But TRS swept the elections to the GMHC in 2016 and seized control of the corporation, which it couldn’t have done without the support of Andhra settlers. It’s likely that in the absence of any interest on Naidu’s part in these elections, civic issues and caste did the trick. With Naidu in the forefront of campaign now, he hopes to the mop up the Andhra votes in Telangana. But that isn’t as easy as he thinks, because passions over state bifurcation have diminished a bit and the Andhra-origin population has no particular reason to complain of in the new state. Despite the harsh words hurled against them by KCR at the time of Telangana’s formation and the threats to their jobs, businesses and even lives, and their expected exodus back to Andhra region, the settlers not only stayed on in the new state, but even more people are migrating to Hyderabad for jobs, especially in IT sector. Administratively, Telangana and Andhra Pradesh may have become two separate states, but there was no great organic division between the peoples of the two regions, with commercial, job and marital status remaining unaffected. And yet, the fact of TDP being an “Andhra party” will no doubt weigh on the minds of many so-called outsiders, but a good number of them will probably make their choices, after judging candidates and parties on their own merit or on caste considerations. The campaign by TRS that TDP is a pro-Andhra and anti-Telangana party may be offset a great deal by the presence in the Mahakutami of Telangana Jana Samithi, headed by M Kodandaram, a former political science professor, who had played a key role in the agitation for separate state and who enjoys a no-nonsense reputation. Congress too may get its own share of support from the settlers from its committed voters among them as well as on the considerations of caste and the fact that it was the party whose government at the Centre made a separate state possible. 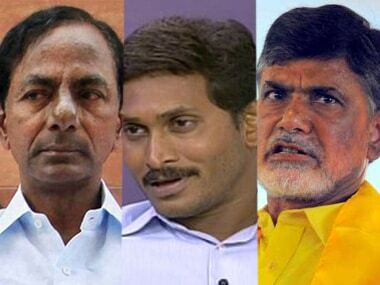 Though Andhra vote may thus be divided among parties, Naidu can still hope to corner a good chunk of it, but whether the seats that this will help the grand alliance get will be enough to win the election is still unclear in what increasingly looks like a neck-and-neck race.